Last week I went to a gentleman's house and enrolled him in a Medicare Supplement Plan. He lives in a rural area, and his current Medicare Advantage Plan didn't have any primary care physicians near him. I told him that I would do what I could so we applied for a Medicare Supplement Plan. Because it was not a “guaranteed issue” period, we did not dis-enroll him from his Medicare Advantage Plan. I told him it would be better to wait until he was approved before we did that. Because he seemed a little confused, I asked him to give me the name of any family members he had so that I could contact him. His house was in disarray, and he had an obvious skin condition that needed attention. He said that the information was in his phone. He was unable to get the information quickly. You need to put contact information in your wallet. His application was approved about a week later. We tried several times to contact him but we were unable to do so. 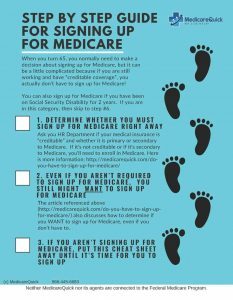 But because he was coming off of a Medicare Advantage plan, we needed to complete the process by dis-enrolling in his Medicare Advantage Plan, something that can be done during the Medicare Advantage Dis-enrollment period from January 1st through Valentines day every year. We tried to contact him numerous times, to no avail. I was extremely worried about him, but could not contact his family members because I didn't have their phone number. Finally, after much worry, that perhaps he had fallen and was unable to get up, and had been lying on the floor for several days, I contacted the Sheriff's office and arranged to have a safety check done for him. This was very late at night, and the sheriff said that they would call and leave me a message. They did. They said that they found an open door, checked all the rooms and all the out buildings and that he was not there. I still couldn't sleep. I was worried that perhaps he had gone into the hospital. I know that it was outside my rhelm of Medicare Insurance Sales, but I couldn't help worrying. He seemed like he had a serious skin infection and I could not rest until I figured out where he was. So I used my resources and found out that he had gone into the hospital and was discharged to a skilled nursing facility. I called him. He was there. I almost cried for joy that I had finally found him. But, he was there with his cell phone and no charger. He had only the hospital gown that he arrived in, and no pants. He asked me to go to his house to get his phone charger and bring it to him, because he had no contact information. He couldn't call his friends or his family to get the phone charger (or a pair of pants), because all of that information was in his phone, and he couldn't access it because he didn't have his charger. Unfortunately, I didn't feel comfortable doing that. However, I was so invested in helping him that I said that I would try to find his friends. I even purchased a one time search for several dollars that turned out to be someone else. Finally, after about three hours of searching, I gave up. Almost. What I finally wound up doing was calling the sheriff, in his city, and explaining the situation. I asked that they post a sign on the door letting his friends know where he was and the phone number of the facility asking them to call. The sheriff even said that he would go to the place of business (the gentleman had told me where she worked) and ask for her. He said that if she wasn't there he would leave word for him to call and he would put forth the message. The moral of the story? How many people are going to go through all this trouble to try to find someone to bring you your phone charger (and some pants) that barely know you? I had only met this gentleman once, and the policy I sold him will need to be canceled since we never disenrolled him from the Medicare Advantage Plan. Most agents or brokers would have let it slide. I felt compelled to help him, but I cannot say that I would do this again. Do yourself a favor. Don't rely on your phone to contain all of your important phone numbers. Write down three important contact names and phone numbers right now and put them in your wallet. That way if you ever wind up in the hospital or a skilled nursing facility, you will have phone numbers so that you can call a friend or loved one in case you need something. Please…for goodness sake, put contact information in your wallet! Do it now!